I’ve been fortunate to travel around the Philippines due to my line of work. In some cases, it is for our training programs, for others we do fieldwork for technical assistance or consultancies. You get to see not just the nice places around the country but also get to see transport in other cities and towns including a glimpse of its character and the behavior or preferences of its users. In the previous posts, I have included photos I’ve taken myself of some transport curiosities and there are many more that I have collected over the last few years. I guess I just need to find time to sort through the many folders containing these photos. Unlike before when the conventional cameras required photo development and I had to scan each one that I intend to save for my lectures or for posterity, nowadays there seems to be no limit with what you can take with a digital camera except perhaps the battery life and the size of you storage media. Below are a couple of shots I took during one visit to General Santos City (GenSan) in south western Mindanao. The scenes do have similarities with others I have taken in other cities like the one I took while traversing Kennon Road en route to Baguio City. I believe the first 2 photos were taken along the Digos-Makar Road also known as Asian Highway 26 (AH 26). 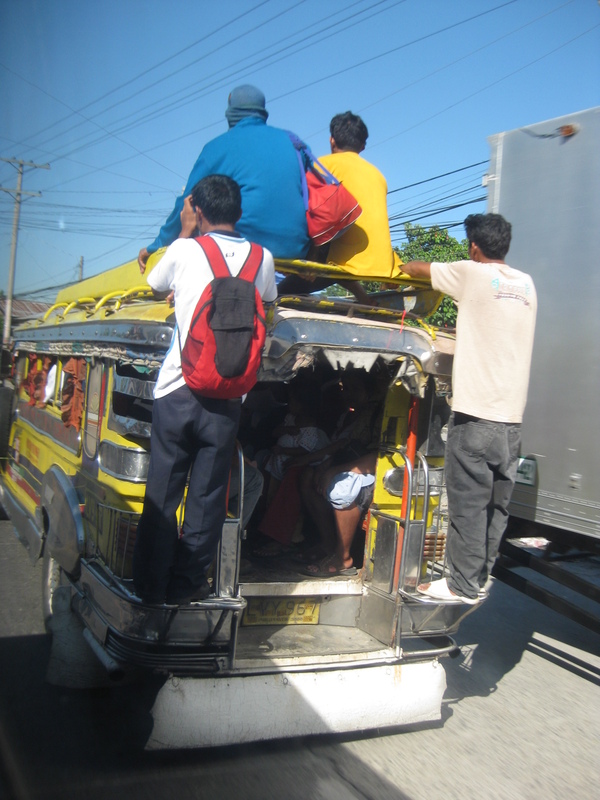 Note what seems to be the comfortable state of the passengers sitting on the roof of the jeepney and the disregard for safety for the bunch on top of a local truck. 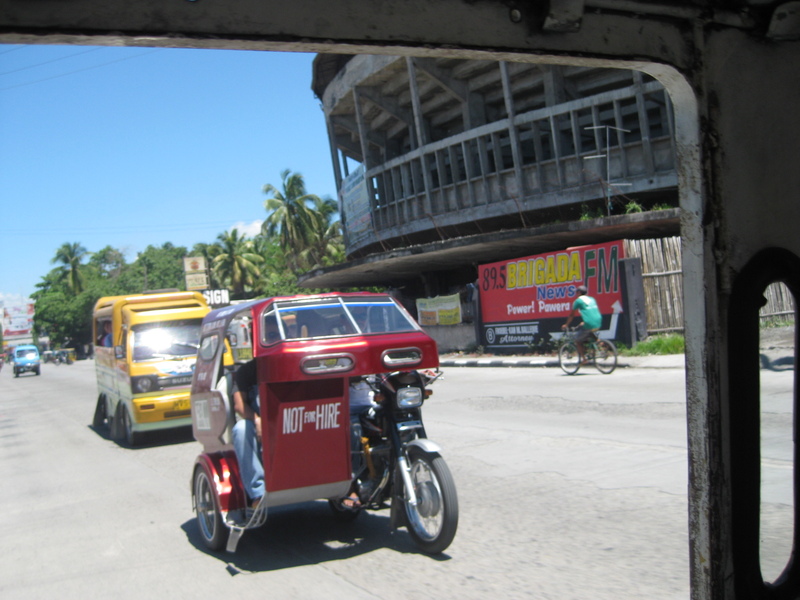 Local transport services for moving about in the city are generally provided by jeepneys, multicabs (which are actually a form of jitney service), tricycles and non-motorized pedicabs. There are also the informal motorcycle taxis (habal-habal) but these are to be found mainly in the outer parts of the city. Taxicabs generally ferry passengers to and from the airport. Buses and vans are used for inter-city or inter-town transport (i.e., long distance transport) and are banned from plying routes in the city center. These may only use the national roads to get to the terminals. Tricycles are actually banned from the national roads and this is indicated in the sidecar bodies. However, the enforcement is usually lax and you can take the tricycle almost anywhere using any road in the city. Perhaps it is really too difficult to implement the ban due to the number of tricycles? By d0ctrine in Jeepney, Paratransit, Public Transport, Transportation on September 8, 2011 .